"Hello Coach, I am writing this note to thank you for all you have done for my son "M". My husband and I spoke to you one evening following one of the anti "bullying meetings" and expressed our concerns to you that our son, was being teased repeatedly with the word "gay". As a result of our conversation, you asked another student to be a hero to "M". As tears are running down my face, I want to thank you from the bottom of my heart for saving my son. If it were not for you and the technique you utilize and the program that you have developed, "Sweethearts+Heroes", "M" would have continued to live in a private misery. I am happy to say that he is happier and more confident than I have seen since early elementary school. Please continue to help others like "M". As he moves on to Senior High School, I know that he will always remember how you changed his life. Thank you for being in his corner when we could not." "I wanted to thank you again for the wonderful presentations you recently provided for Warsaw. The impact of your message was powerful and inspirational; moreover, it fostered the healing that our school community needed. The hero analogy definitely empowers EVERYONE that hears message. The MMA caught the student’s attention and the passion that was so very evident in your delivery made it all the more meaningful for the audience. I want to send a special thanks to Tom for taking the time to meet with our wrestlers." "On behalf of the GF administrative staff we would like to thank you for a wonderful presentation that has provided us a foundation that opens the door for dialogue, education and other venues to connect with our students and positively affect the culture of our schools. Your program provided a terrific base for us to build upon as a school district and work uniformly with our students in an organized meaningful way! Thanks for your inspiring performances for our Dignity Week! We are all looking forward to the upcoming the faculty trainings as well. Chris Reed is anxious to learn the flame swallowing trick and Mark Stratton and Chip Corlew asked me if they could order your superhero outfits for the training!" "Thank you so much for coming to GFHS. I teach mostly seniors. Throughout the day, the comments are the same. . . This was the best presentation I have seen in my entire high school career. He was interactive, entertaining, and not pompous. The presentation kept everyone's attention, the entire time. He gave out money and T-shirts, no one has ever done that before. It was impressive that he was able to remember student's names throughout the presentation; able to refer back to those who participated." "Thank you for the wonderful program...your energy, enthusiasm, and belief in the program made for a terrific lesson for each of our students. I am looking forward to weaving your program's message throughout our daily learning. Best of luck as you continue to share Sweetheart's and Heroes with other school districts." "It was good to see you the other day at Big Cross. You guys did a great job with that presentation. It was unlike any other anti-bullying presentation I've ever seen in the fact that you outlined the definition of bullying, and more importantly told kids what bullying isn't, and then gave a very cool way to deal with it through the ABC's. I think kids are told too often that every time somebody is mean to them, they are being bullied. And the only strategy kids seem to know is to go tell a teacher. I really like the A and the C of your message. I am piloting a technology program in my classroom using tablet/pc. 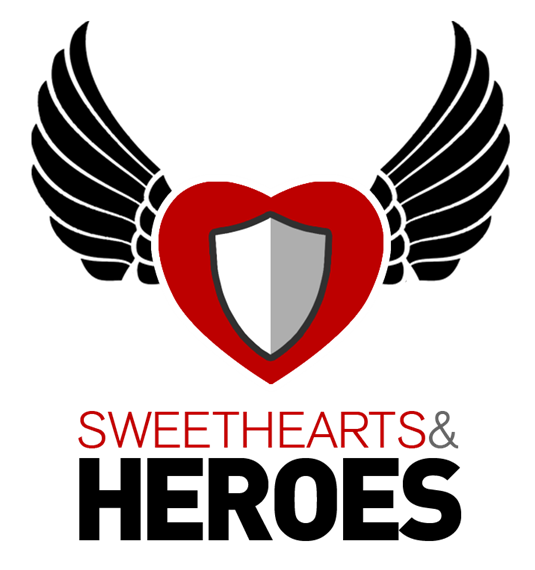 For my first project I would like to have my kids make a poster featuring the message of Sweethearts and Heroes. I wrote up a lesson plan with some minimum requirements that included using the ABC's and recognizing/identifying bullying. I talked with Debbie Hall and Carrie Mauro (through email) and they are not only on board with it, but very supportive and energized about the concept. Is it ok to use the Sweethearts and Heroes logo on the posters my kids make that will be posted around our school? Also, I have one student each week make a weekly class newsletter. This week's features your program with a very cool pic of you, Tom, and Jessica with my class. I hope that is cool with you! “Sorry, Jason, I was born and raised in GF. I am an alum of this school and am very proud of GF. Too bad you're from the other side of the river. :) Just joking. You did a great job! I really hope that Tom can come back another time." "Wow, all I can say is that the students and staff really enjoyed Tom's presentation. It was not just his presence, but his style, attitude and passion that he brought to our school. It was such a pleasure to meet him and his "crew". Abigail was so professional and what a fantastic young lady, Orlando was so quiet and powerful all at the same time, 'Agent' Colin was personable and engaging! I had a chance to speak with them all and what great performances! I will send you more feedback later in the day as I "mingle" with students and staff." "As someone who has worked with Middle School students for 15 years, I cannot thank you enough for delivering a critical message in such a captivating manner. The work you are doing is invaluable and you are likely having an impact that will never truly be known." "I have heard nothing but positive feedback from both my staff and students. Thank you guys for helping us teach our students about this important concept in a way that they could relate to. You held their attention for the entire hour and they truly took away the message. In fact, a teacher commented that as she was speaking to a parent last night and the parent told her the first thing her child asked her when he got home was who was her 16th century bully." "The presentation was fabulous! It was EXACTLY what we were looking for and needed to kick off the school year! I cannot begin to put into words how appreciative I am for your visit to JCS. ‘A leader is a dealer in hope’ ~Napoleon Bonaparte You, my friends, are true leaders...you are dealing in the business of hope and empowerment!" This was truly an impactful day for us at Mifflinburg High School. Thanks to Tom and Rick for doing what you do...you are HEROES by the very nature of your work! Our students have continued to talk about the assembly and the impact that it has had on our school. I received an insane amount of feedback from teachers (who were skeptical of the assembly) who were thankful that Sweethearts & Heroes came to Mifflinburg. One 20+ year Chemistry teacher who is an adamant complainer about missing class time told me that it was the best presentation he has ever seen for students. I had a student interaction with a student yesterday that I would like to share with you. This student came to me very upset. He was not being bullied. He had an incident on the school bus and he was the one who said something very hateful, hurtful, and inappropriate to a girl (who by the way was already hurting). He immediately saw the hurt in her eyes. When he got to school he came to me in great distress about what to do. This is not a student I know well, but he knew that I had organized the assembly. He was obviously affected by how is actions had hurt someone. We came up with a plan of apology, which was absolutely sincere and after many tears with the girl and boy they were able to have a conversation that was meaningful to both. I am absolutely sure this interaction would not have happened before you visited our school. I would recommend that every school in the country find a way to have Sweethearts and Heroes present at their school. I have passed along information to many of my friends in the education world and hope that others will take the time to plan for you to visit. Many of our Mifflinburg seniors said that by far Sweethearts and Heroes was the most impactful presentation they had seen in their entire school career. “Thank you for a moving presentation. It is a wonderful service your providing to children, parents, and teachers. It gives me great comfort knowing that there are people like you out there educating and informing all of us that there is HOPE. And that the power is not in debates and conversation but in action. "I" have the power to make that difference in someone else's life, that message in itself is empowering!